When the marching season is over, the color guard ensemble continues through the winter as a competitive, indoor winter guard unit. Unlike marching band and winter percussion, winter guard performs with pre-recorded music in its competitive circuit. 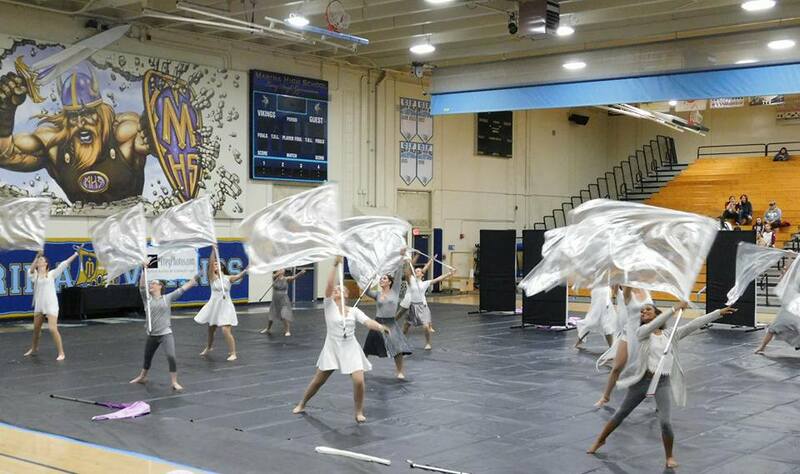 Winter guard uses various equipment such as flags, rifles, and sabres, along with dance, to express dynamic passages in the music winter guard show. El Toro High School's Winter Guard competes independently in the Winter Guard Association of Southern California (WGASC) circuit and performs at El Toro’s Prelude in the Park. Winter guard rehearses Tuesday, Wednesday, and Thursday evenings from December through late April, including winter break. Practice schedules are subject to change. Please see the master schedule for updates. For more information on shows, see the Winter Guard Show page. For information on the WGASC visit https://wgasc.org/.